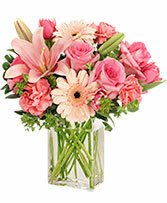 Sweet simple with a whole lot of character, This bouquet is made for the tender and loving friend or loved one that truly deserves the best. Petals and greenery shown on table are not included in the price but can be purchased separately. 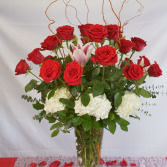 When you are truly "Head over heels" in Love prove it by sending the grandest of blooms and the biggest and most glorious Valentine! 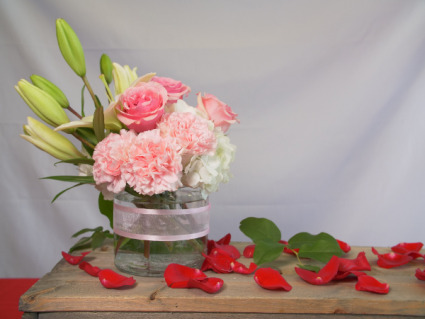 Petals shown on table are not included in the price but can be purchased separately.